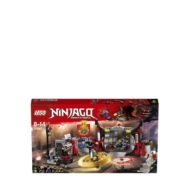 - Includes 5 minifigures: Lloyd, Snake Jaguar, Ultra Violet, Nails and Skip Vicious. - S.O.G. 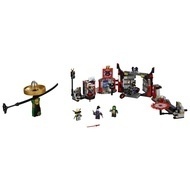 Headquarters features movable sides for action play, an explode-function entrance with the Oni Mask of Hatred element and a ramp, spinning blade, spinning wheel with an attachment point for a minifigure, spinning hammers, ATM, ‘Sons of Garmadon' sign element, and a bike workshop with an Oni Bike. - Spinjitzu spinner features a buildable LEGO® brick handle, spinner element with minifigure capsule and a rip cord. - Place a minifigure in the capsule, attach the spinner and pull the rip cord to spin or roll. - Grab the handles on each side of the dojo to attack the spinner. - Use the spinner to smash through the dojo entrance and release the Oni Mask of Hatred element. 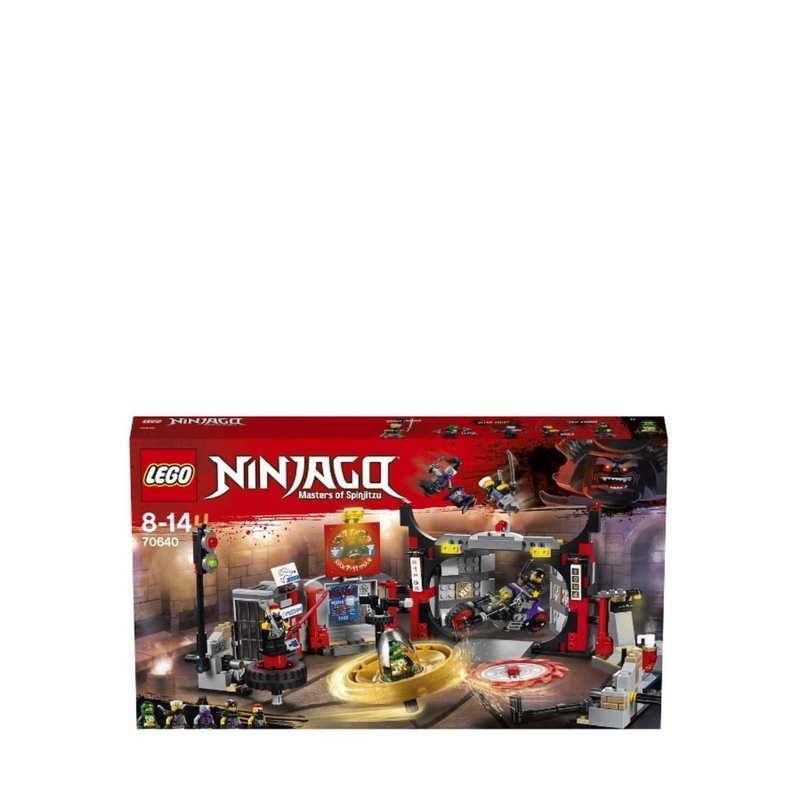 - Attach the Oni Mask of Hatred transformation element to the Ultra Violet minifigure to make her even more evil! - Weapons include Lloyd's shurikens, Snake Jaguar's 2 katanas, Ultra Violet's 2 sai, Nails' katana and Skip Vicious' katana and crowbar. - Snake Jaguar minifigure is new for January 2018. - This building toy is suitable for ages 8-14. - S.O.G. Headquarters measures over 5” (13cm) high, 12” (32cm) wide and 8” (21cm) deep, and 27” (71cm) wide when opened out fully. - Oni Bike measures over 1” (4cm) high, 4” (12cm) long and 1” (3cm) wide.